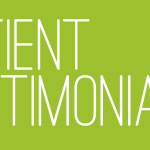 We know that the best and most honest recommendations of a dental clinic come from our patients themselves. In that spirit, we have created dozens of real-life testimonial videos to show you what you can expect from our team here at 6th Ave Periodontics and Implant Dentistry. “I’ve been a patient for the last couple of years with Roya and her team. I’ve gotten tremendous service. Recently I’ve experienced some tooth problems and those problems resulted in three implants and one extraction. My experience has been phenomenally good. The appointments have been well scheduled. Roya’s professionalism and technique resulted in no swelling, no pain in spite of the three implants and one extraction, one of which was inordinately difficult.